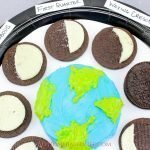 We dove into this Moon Phases Learning Craft when my son (1st grade at the time) came home from school recently saying he was learning about the Planets and the Moon Phases. The following week my oldest son (4th grade at the time) came home with the same science agenda. I was a little thrown off at the age difference learning the same material at first but then I was all for it. As much as I love my kids they learn best with hands-on activities. 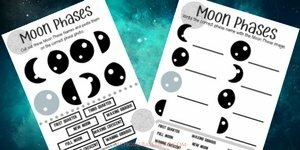 So- the Moon Phases Learning Craft was a major hit. 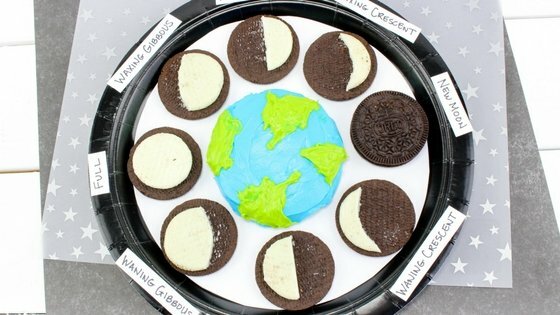 We had so much fun creating these Moon Phases Learning Crafts. All four of my kids can properly identify all the phases now, even my preschooler! Maybe they just wanted to eat the Oreo’s after? Either way, edible learning is always a hit in my home! Color about 2 tablespoons of frosting blue and about 1 tablespoon green. Frost the entire top of the sugar cookie with the blue frosting and spread some little spots of green around on it to resemble land. 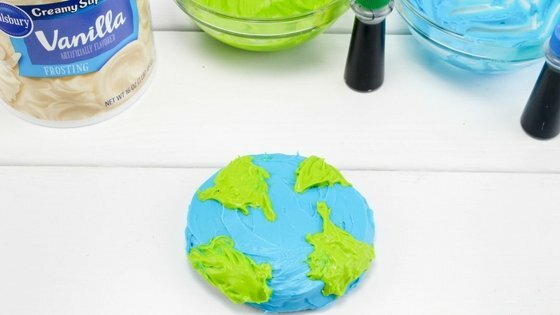 It should look like the earth. 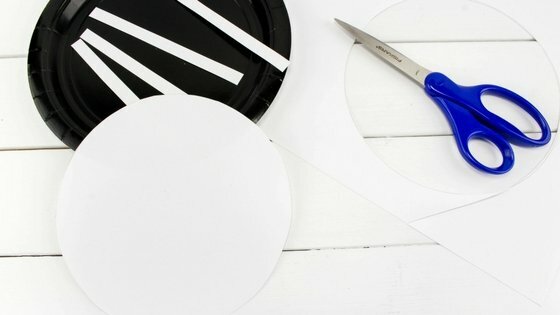 Cut a circle from the white paper the same size of the paper plate and set it on the plate. 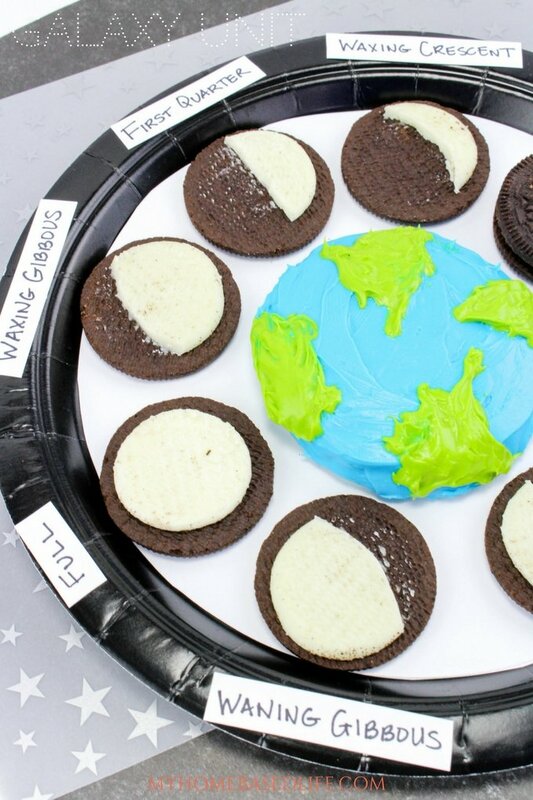 Place the earth cookie on the center of the plate. Cut 8 small strips of paper and write each moon phase on one. The moon phases are First Quarter, Waxing Crescent, New Moon, Waning Crescent, Third Quarter, Waning Gibbous, Full, Waxing Gibbous. 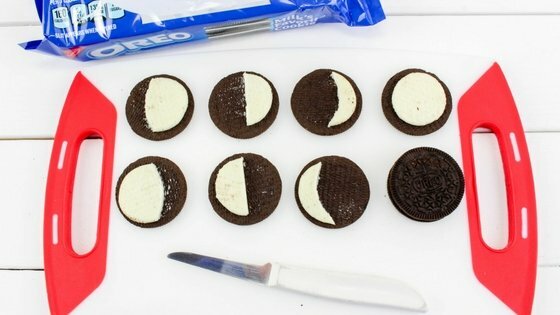 Pull apart 7 oreo cookies gently so that the cream stays on one side of the cookie. Set another oreo cookie aside as it will remain closed. Now set the cookies around the earth, putting the First Quarter at the top and going around in the order in step 6. Use the glue stick and glue each corresponding paper strip on the edge of the plate by the phase on each cookie that it matches. 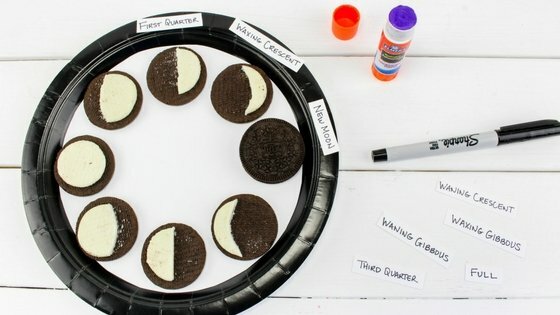 Very Easy and Fun way to learn about the moon! 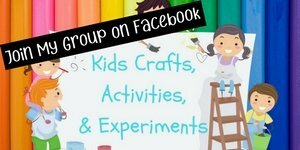 I created these printable homeschool worksheets to go along with this craft. They seemed to really help my kids when we were creating the phases. Sign Up below and I will email them to you right away! 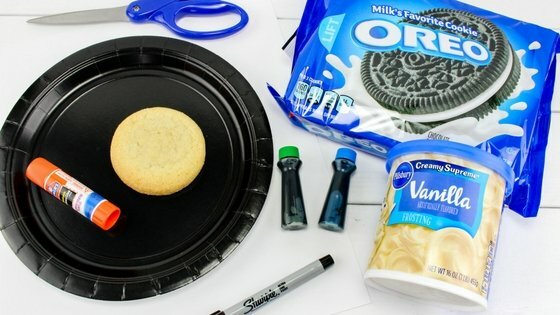 Pull apart 7 oreo cookies gently so that the cream stays on one side of the cookie. Set another cookie aside as it will remain closed. 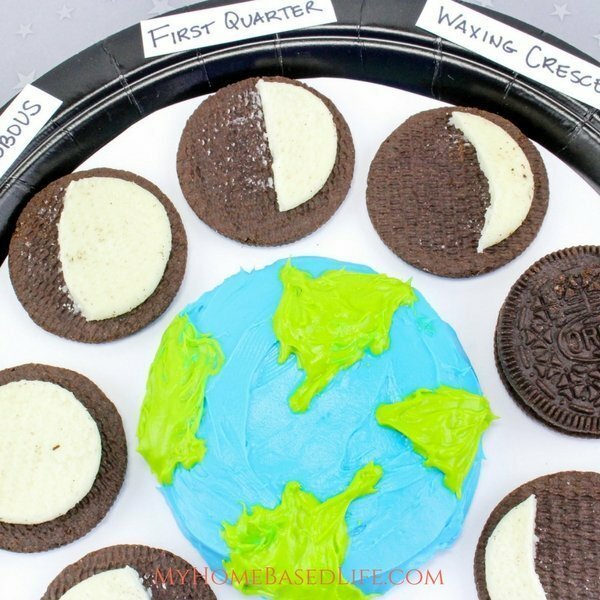 Now set the Oreo cookies around the earth, putting the First Quarter at the top and going around in the order in step 6. Use the glue stick and glue each corresponding paper strip on the edge of the plate by the phase of each cookie that it matches. This is such a clever project for parents to teach kids. Plus they get to eat it as a snack when they are done! Edible learning is definitely the best kind! My kids will love this! This is a great idea. Kids retail more information if it is reinforced by multi-sensory activities. I’ve done this before, and it is so much fun! Ohhh, this is such a cool craft! I love it!